Kazuko Tanaka is a Professor and Founder of the Center for Gender Studies (CGS) at the International Christian University, Division of International Studies, in Tokyo, Japan. The Center for Gender Studies was established in April 2004 and offers a new communication space to anyone who is interested in the issues of gender and sexuality. The CGS has three major goals. First, CGS will break away from passive strategies that rely mainly on consuming information from the western world. Instead, CGS will work to actively collect and convey relevant information in Japan to the rest of the world. Second, CGS will work to build networks with and among people in Asia who are interested in women's/ men's/ gender studies. Third, CGS will support the Program in Gender and Sexuality Studies of ICU (planned to start in AY2005), which will launch a new stage of gender studies by including the natural sciences. Please see News and Reports. Shibley Telhami is the Anwar Sadat Professor for Peace and Development at the University of Maryland, College Park, and non-resident Senior Fellow at the Saban Center at the Brookings Institution. Before coming to the University of Maryland, he taught at several universities, including Cornell University, the Ohio State University, the University of Southern California, Princeton University, Columbia University, Swarthmore College, and the University of California at Berkeley, where he received his doctorate in political science. Professor Telhami has also been active in the foreign policy arena. He has served as Advisor to the US Mission to the UN (1990-1991), as advisor to former Congressman Lee Hamilton, and as a member of the US delegation to the Trilateral US-Israeli-Palestinian Anti-Incitement Committee, which was mandated by the Wye River Agreements. He has contributed to The Washington Post, the New York Times, and the Los Angeles Times and regularly appears on national and international radio and television. He has served on the USAdvisory Group on Public Diplomacy for the Arab and Muslim World, which was appointed by the Department of State at the request of Congress, and he co-drafted the report of their findings, “Changing Minds, Winning Peace.” He also co-drafted several Council on Foreign Relations reportson US public diplomacy, on the Arab-Israeli peace process, and on Persian Gulf security. His best-selling book, The Stakes: America and the Middle East (Westview Press, 2003; updated version, 2004) was selected by Foreign Affairs as one of the top five books on the Middle East in 2003. His other publications include Power and Leadership in International Bargaining: The Path to the Camp David Accords (1990); International Organizations and Ethnic Conflict, edited with Milton Esman (1995); Identity and Foreign Policy in the Middle East, edited with Michael Barnett (2002), and numerous articles on international politics and Middle Eastern affairs. He is a member of the Council on Foreign Relations and serves on the boards of Human Rights Watch (and as vice-chair of Human Rights Watch/Middle East), Seeds of Peace, the Education for Employment Foundation, and Neve Shalom/Wahat al-Salam, and several academic advisory boards. He has also served on the Board of the United States Institute of Peace and was given the Distinguished International Service Award by the University of Maryland in 2002. At his investiture as the holder of the Anwar Sadat Chair for Peace and Development, Professor Telhami said, "I have always believed that good scholarship can be relevant and consequential for public policy. It is possible to affect public policy without being an advocate; to be passionate about peace without losing analytical rigor; to be moved by what is just while conceding that no one has a monopoly on justice. This, I shall strive to do as the best way to be faithful to the title I now carry" (see the source of this quote here). Professor Telhami has written a piece on History and Humiliation, in The Washington Post, Friday, March 28, 2003, and has written about humiliation in The Stakes: America and the Middle East. Please see also "The Ties That Bind: Americans, Arabs, and Israelis After September." In Foreign Affairs, 83 (2, March/April 2004), pp. 8-12. Please see furthermore How The Fighting Stops: Achieving a Sustainable Ceasefire in Lebanon, to which Shibley Telhami explains (03/08/2006): "You may note that in my most recent comment on Lebanon at the Brookings Institution, which was televised in the US, I highlighted the issue of humiliation and suggested that the solution to the problem must be based on a balance between deterrence on the one hand and dignity on the other. The discussion could be watched on video or be read at www.brookings.edu. The transcript can be accessed directly at: http://brookings.edu/comm/events/20060731.pdf." Judith Thompson, Ph.D. is a scholar-practitioner with a background in international, intercultural dialogue, reconciliation, psychosocial healing, peace education, youth leadership development and human rights. She has just completed research on how compassion arises in the process of reconciliation efforts. Currently she is a Research and Program Associate at the Karuna Center for Peacebuilding (KCP), a U.S.-based nonprofit organization that offers international training programs in conflict transformation, intercommunal dialogue, and reconciliation. At KCP she heads The Compassion and Social Healing Initiative, an interdisciplinary research, public education and training initiative aimed at exploring compassion's moral and psychosocial dimensions and its role in transforming conflicts and building a culture of peace. She also co-directs the Frontiers of Social Healing dialogue series funded by the Fetzer Institute, which serves as a theory building learning community for scholar-practitioners worldwide engaged in reconciliation and intercommunal dialogue. She is past Peace Fellow at the Radcliffe Institute for Advanced Studies at Harvard University and the International Peace Prize of the Dolores Kohl Education Foundation. Please see here On Forgiveness and Social Healing, presented by Judith Thompson for a panel discussion on The Role of Forgiveness in Social Healing, Harvard Divinity School, October 31, 2005. Please see also Appreciative Facilitation: Hints for Round Table Moderators, kindly written in February 2006 by Judith to support the moderators of our workshops. Elin Toft is working with Save the Children in Oslo, Norway, since 2001. She is a journalist and editor, working with Human Rights and Third World issues, with particular emphasis on women and children. Professor Toh Swee-Hin (S.H. Toh), Laureate of the UNESCO Prize for Peace Education in 2000, is the Director of the Multi-Faith Centre at Griffith University in Queensland, Australia. He has been promoting education, research and action for a culture of peace since the mid-70s. He has worked in various North and South contexts as well as in collaboration with international agencies and networks, including UNESCO, the International Institute on Peace Education, the Asia Pacific Center of Education for International Understanding, and the World Council for Curriculum & Instruction.  Toh, Swee-Hin and Cawagas, Virginia F. (Eds.) (2007). Proceedings of the International Symposium: Cultivating Wisdom, Harvesting Peace Education for a Culture of Peace Through Values, Virtues, and Spirituality of Diverse Cultures, Faiths, and Civilizations, 10-13 August 2005. Brisbane, Australia: The Multi-Faith Centre, Griffith University, Queensland, Australia. .
Rodrigue Tremblay is a prominent Canadian-born economist with a Ph.D. from Stanford University. He is a former Woodrow Wilson fellow and a Ford International Fellow. He is presently professor emeritus at the University of Montreal, after having occupied the positions of full professor of economics at the University of Montreal, president of the North Economics and Finance Association, president of the Canadian Economics Society, vice president of the International Association of French-speaking Economists and advisor to numerous governments and organizations. In 2004, he was awarded the Condorcet prize of political philosophy. In politics, Mr. Tremblay was a member of the Quebec National Assembly (Gouin) from 1976 to 1981. He also served as minister of Industry and Commcerce in the Quebec government (1976-1979). He has written 30 books dealing with economics and finance, some also tackling moral and political issues. Dr. Tremblay most recent book is entitled The Code for Global Ethics (Prometheus Books, 2010), and is published both in English [ISBN: 978-1616-14-17-21] and in French [ISBN: 978-2895-78-17-38]. See also a brief summary of his views and his blog, which is being followed all around the world and translated into many languages by its readers. Dr. Tremblay has travelled extensively in the Middle-East, in North Africa and in sub-Sahara Africa.  "Why Are Things Crumbling Around Us…and Could Easily Get Worse?," Article # 1146, Sunday, August 5, 2012. Deepak Tripathi is also a Member of the HumanDHS Research Team. Deepak Tripathi, PhD, FRHistS is a British historian of the Greater Middle East and South Asia with a particular emphasis on the Cold War and the United States in the post-Soviet world. 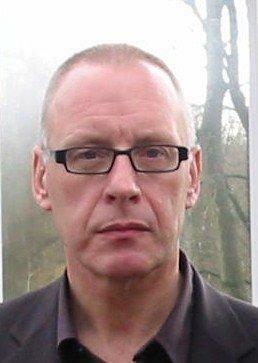 He is an honorary research fellow in social sciences at the University of Roehampton in London. Among his books is A Journey Through Turbulence (Dignity Press, 2013). His other books include a trilogy encompassing Breeding Ground: Afghanistan and the Origins of Islamist Terrorism (2011), Overcoming the Bush Legacy in Iraq and Afghanistan (2010) and Imperial Designs: War, Humiliation and the Making of History (2013), published by Potomac Books, Inc., Washington, D.C. Earlier, he spent his long career in journalism (1974-2000), primarily in the BBC where he was a correspondent, commentator and editor. In the early 1990s, Tripathi set up the BBC Bureau in Kabul and was the corporation's resident correspondent in Afghanistan. He also reported from Syria, Pakistan, Sri Lanka and India. • Imperialism & Humiliation, a video presentation for HumiliationStudies.org, where Deepak Tripathi explains the relationship between imperialism and humiliation. • A Journey Through Turbulence, Lake Oswego, OR: Dignity Press, 22nd March, 2013, with a Foreword by Victoria Fontan, a collection of Deepak Tripathi's writings in the last decade, covering a vast landscape and many subjects, from the United States, Britain and the European Union to conflicts in South Asia and the Middle East, the Arab Awakening, the power shift from west to east, and the new great game in the east. These essays have an insightful analysis of the present in the context of the past. • A Journey Through Turbulence, video, created on 29th March 2013, in connection with his book A Journey Through Turbulence. • Imperial Design: War, Humiliation and the Making of History, published on 8th May 2013, is a video about Imperial Designs, the final volume of Deepak Tripathi's trilogy including Breeding Ground: Afghanistan and the Origins of Islamist Terrorism and Overcoming the Bush Legacy in Iraq and Afghanistan published by Potomac Books, an imprint of the University of Nebraska Press. Finn Tschudi is also a Member of the HumanDHS Research Team. Finn has spent most of his professional life - 37 years - at the Institute of Psychology, University of Oslo, Norway. He has broad interests in psychology and has been teaching and publishing in cognitive, social, personality and clinical psychology. While well known for his contageous enthusiasm when teaching he was eager for a change and took an early retirement from his position as professor of psychology from January 1999. At about that time Johan Galtung - who had known Finn for a few decades - had enlisted Finn in his TRANSCEND network, and he is co-author with Johan Galtung on "Crafting Peace: On the Psychology of the TRANSCEND Approach" in J. Galtung et.al. (Eds. ), Searching for Peace. The Road to TRANSCEND. Pluto Press, 151-170. Eager to get some real knowledge about conflicts and conflict transformation Finn went to Australia to study with John McDonald and David Moore. Finn then brought his Australian friends to Norway to give workshops, and he has since been a consultant to Norwegian projects using conferencing. Conferencing is a key approach within the Restorative Justice movement, which is an alternative to the dominant Retributive Justice approach. Furthermore, conferencing provides a far greater emphasis on emotional processes than usual cognitive approaches. He has published about conferencing in Norwegian, and with Bob Neimeyer in the book chapter: R. A. Neimeyer & F. Tschudi (2003) Community and Coherence in G. D. Fireman et.al. (Eds. ), Narrative and Consciousness. Oxford University Press,166-191. A further article on "suspected sexual abuse" with Sissel Reichelt: When therapy is stuck: What about conferencing? has been published in 2004 in the Journal of Systemic Therapy, 23, 38-52. Finn greatly enjoys participating in a voluntary association dedicated to preserving a unique bird wildlife area and a surrounding landscape with a rich cultural heritage, situated just a few minutes by car from the centre of Oslo. A farm in this area is a center for a foundation working to educate young leaders from Palestine, Jordan and Israel to peacefully cooperate, a project Finn is eagerly supporting. "mep" denotes "Middle East Project." Finn talked about all this (also touching 9/11) in a keynote address: Conflict Transformation: The Road from Alienation to Solidarity at The World Peace Foundation, Novembre 19, 2002 at LaCrosse, WI. Otherwise Finn has for several years been dedicated to perfecting a set of computer programs - MULTIGRID - useful for at a group level mapping cultural climate and homo/heterogeneity, at an individual level helping client and therapist together mapping viable paths to a better life, and/or evaluating the impact of therapy. Much to his surprise the system has also been found useful in quite different fields as e.g. a current project which maps how Swedish auditors – in the wake of Enron etc. – think about their current and possible future tasks. An article about this is under review in European Journal of Accounting. How auditors work raise the problem of the relative importance of rules vs. more overriding principles. Congruent with his interest in emotions Finn has written a paper arguing for the importance of intuitive, holistic thinking: "Rules, Complexity and Emotions" and a Swedish version will appear in a Swedish book devoted to critical issues about the way auditors go about their tasks. Interest in grid methodology has been spurred by a long standing interest in mapping structure for a single individual, and a concomitant distrust in usual methodology where individual structures often are lost when comparing means. An overriding interest is whether and to what extent multivariate methods can reveal latent structures by "purifying" manifest data of "noise." This was in fact the topic of his doctoral dissertation: The Latent, the Manifest and the Reconstructed in Multivariate Data Reduction Models. A Study of Multidimensional Scaling and Similarities Data. University of Oslo, 1972. Currently Finn's interest in similarity has been rekindled by considering how much greater our concern is for those close to us than for those seen to be very different. When psychological distance is concomitant with hostility, derogation and cruelty this raises the problem of how this can be reversed – what are the possibilities for humanizing relations? What can conferencing contribute, and what other approaches as for instance the Mep project mentioned above are viable? Finn is a member of the editorial board of Journal of Constructivist Psychology, and the advisory board of Proactive-resolutions.com which is headed by John McDonald.  Accepting Vulnerability – Necessary for a Good Society?, revised draft of paper for Telemark Symposium August 18-21, 2005.  Frihet som motmakt: Venstresiden må ta frihetsbegrepet tilbake!, a short version of which was published in Klassekampen, 20th April 2006. Finn appreciates comments at finn.tschudi@psykologi.uio.no!  Reflections on World Parliament Experiment, WPE, at isfit 2007. William L. Ury, trained as a Social Anthropologist, with a B.A. from Yale and a Ph.D. from Harvard, has carried out his research on negotiation not only in the boardroom and at the bargaining table but also among the Bushmen of the Kalahari and the clan warriors of New Guinea. William L. Ury co-founded Harvard's Program on Negotiation where he currently directs the Global Negotiation Project. He is co-author (with Roger Fisher) of Getting to Yes: Negotiating Agreement Without Giving In, a five-million-copy bestseller translated into over twenty languages. Ury is also author of the award-winning Getting Past No: Negotiating with Difficult People and Getting To Peace (released in paperback under the title The Third Side.) Over the last two decades, Ury has served as a negotiation adviser and mediator in conflicts ranging from corporate mergers to wildcat strikes in a Kentucky coal mine to ethnic wars in the Middle East, the Balkans, and the former Soviet Union. With former president Jimmy Carter, he co-founded the International Negotiation Network, a non-governmental body seeking to end civil wars around the world. During the 1980s, he helped the US and Soviet governments create nuclear crisis centers designed to avert an accidental nuclear war. In that capacity, he served as a consultant to the Crisis Management Center at the White House. Most recently, Ury has served as a third party in political conflicts in Venezuela and Indonesia. Ury has taught negotiation to tens of thousands of corporate executives, labor leaders, diplomats and military officers around the world. He helps organizations try to reach mutually profitable agreements with customers, suppliers, unions, joint-venture partners. His consulting clients range from AT&T, IBM, and Ford Motor Company to the Treasury, the State Department, and the Pentagon. Ury is also co-founder of the e-Parliament Initiative, which is intended to link together the 25,000 elected parliamentarians around the world (together with representatives of civil society) in an Internet-based forum to address global problems such as AIDS, children's rights, and war. Ury is the recipient of the Whitney North Seymour Award from the American Arbitration Association and the Distinguished Service Medal from the Russian Parliament. His work has been widely featured in the media from The New York Times to the Financial Times and from ABC to the BBC. Dr. Chayan Vaddhanaphuti is Professor and Director of the Regional Center for Social Science and Sustainable Development (RCSD) and of the Center for Ethnic Studies and Development (CESD) at the Faculty of Social Sciences (CMU) in Northern Thailand. He is an anthropologist, who earned his Ph.D. from Stanford University in 1984 and received an Honorary Doctorate in Social Anthropology from Göteborg University, Sweden, in 2004. He has edited numerous books, including recently, Transcending State Boundaries (2011). Paul Valent explains his background on his website as follows: I was born in 1938 just before the Holocaust which I survived with my parents in Hungary. That early experience led to my interest in the workings of the mind and in traumatology. I have worked as a psychiatrist and psychotherapist for 35 years, and as a liaison psychiatrist in the emergency department of major hospitals for 20 years. I was among the first traumatologists in Australia and cofounded the Australasian Society for Traumatic Stress Studies of which I am a past president. I am also founder and past president of the Child Survivors of the Holocaust group in Melbourne, Australia. Currently I have retired from all these activities. In the course of my work I saw the close interactions between mind body and society, and how trauma disrupts the normal fulfilment strivings of biopsychosocial humans. I have developed a framework (the wholist perspective) to denote details of fulfilment and of survival strategies that mitigate stress and trauma. I acknowledge the wisdom of my patients and colleagues who have contributed to whatever I know. I hope that you will enjoy the works I have chosen for this web site, works I consider relevant to today's world. Please see Transmission of Transgenerational Trauma, part of Symposium “Intergenerational Communication- Working With Holocaust Trauma’s Legacy across Three Generations,” presented at Limmud Oz, Monash University, 12th June 2006, and at International Consortium for Intergenerational Programmes Conference Victoria University, 27th June 2006. Victor M. Valle is the Head of the Department of Peace and Conflict Studies at the United Nations-mandated University for Peace, founded by the United National General Assembly in 1981 with headquarters in Costa Rica. Earlier, he was the Dean for Academic Administration and Professor of Human Security. Victor Valle is born in El Salvador in 1941 and earned his Doctor of Education from George Washington University in 1982, and his Master of Education from the University of Pittsburgh in 1971. He looks back on a long career in international cooperation for educational development in the Organization for American States and other international organizations. He has been the Secretary-General of the National Revolutionary Movement, a political party, and a Member of the Socialist International in El Salvador. He has furthermore been a Member of the National Commission to Consolidate Peace, an initiative to verify the accomplishment of the United Nations mediated Peace Accords in El Salvador after a bloody civil war. Victor Valle’s consultancy work focuses on university planning, educational planning, teacher training, educational administration, educational research, project development, public management development, public policies development, and citizen security development. Victor Valle has widely published on social disintegration, security and democracy. Please seeSpiraling in Human Insecurity: The Historic Evolution of a Country, a paper presented to the Expert group meeting "Structural threats to social integrity: Social roots of violent conflict and indicators for prevention," 18-20 December 2001, United Nations, New York, NY, organized by the Social Integration Branch of the Division for Social Policy and Development, Department of Economic and Social Affairs United Nations, New York (WOBEHALAN is a fictional country, fully named “Would Be a Happy Land). Vidar Vambheim is Associate Professor at the Department of Education at the University of Tromsø (UiT), and a teacher at its Centre for Peace Studies. Vambheim's research and teaching in peace studies focuses on epistemological questions in peace studies, and the effect of educational systems, curriculum and pedagogy on the peacefulness of individuals and society. The main task for the Centre for Peace Studies (CPS, see also HumanDHS's Partners page) at the University of Tromsø is to contribute to examining ways of creating peace by peaceful means and to make non-violent handling of conflicts more known and recognized. CPS believes that valuable knowledge may be found in areas of low levels of violence, and that very useful lessons may be learnt from successful conflict handling than from areas of atrocities and from failures. Peace studies are concerned with inter-state relations, but also with a wide range of other social conflict lines, such as those related to gender, generation, culture, class, race, ethnicity and nation, as well as the conflict between human society and nature. Although our studies are global, CPS's position in the peaceful Far North, a vast and sparsely populated area in a tough natural climate, with a history of complex ethnic and cultural relations including the problems of hierarchy, recognition and cultural oppression, gives us a chance to learn from a wide range of nonviolent conflict handling. The wider region of the North of Europe also gives us a unique context in which to study conflict handling. Another aim is to compare our experience with experiences from other areas. Peace studies consist of theoretical-empirical, critical and constructive work. As an applied science, peace studies should pay attention to the constructive part of the work. In the course of the last 100 years, there are numerous positive experiences of non-violent conflict handling, and of actors who show an amazing ability to create peace in the midst of threats, fear and violence. There are lessons to be learnt from these non-violent actors and cultures, and it is a task of peace studies and peace educators to find them and give them their due place in history. Marc Van den Bossche is a professor of philosophy at the Vrije Universiteit Brussel (Free University of Brussels), Belgium. As a philosopher he seeks his working tools in hermeneutics, phenomenology and pragmatism. Utalising these tools he tries to understand several research topics, such as mind-body, nature-culture and self-other. In these domains he tries to overcome the well-known hierarchically developed dualisms. Among his philosophical heroes are Richard Rorty, for whom the avoidance of cruelty and humiliation is a primordial task. Hans-Georg Gadamer, whose hermeneutics can be seen as a respectful understanding of the Other, and Charles Taylor, for whom the presumption of equal dignity and reciprocal recognition are leading terms in his thinking about our intercultural society. Marc’s books are – with one exception – only available in Dutch as yet: Kritiek van de technische rede (Critique of Technical Reason) 1995, Natuur en lijfelijkheid (Nature and Embodiment) 1998, Ironie en solidariteit. Een kennismaking met het werk van Richard Rorty, 2001 and the French translation, Ironie et solidarité, 2004 (Irony and Solidarity. An Introduction to the Philosophy of Richard Rorty), Het pathos van het denken. Opstellen over subjectiviteit en intersubjectiviteit (The Pathos of Thinking. Essays on Subjectivity and Intersubjectivity) 2003. He is also the editor or co-editor of books (among others) on Martin Heidegger, Hannah Arendt, Friedrich Nietzsche, on humanism and on ‘identity and interculturality’. His bestselling book however is on his passion for cycling where Marc explores the significance of sport for our wellbeing and the practice of sports without an obsession for the objectifying scoreboard. Geneviève Vaughan (born November 21, 1939) is an American expatriate semiotician, peace activist, feminist, and philanthropist, whose ideas and work have been influential in the intellectual movements around the Gift Economy and Matriarchal Studies. Her support also contributed heavily to the development of the global women’s movement.  Gift Economy: The Mother Economy, presented to the IPRA General Conference in Leuven, Belgium, 2008, and a version presented to the Mother Summit in Karlsruhe, Germany, 2008. Dr. Victoroff studied the Great Books at St. John's College (BA '74), began his graduate studies in social sciences at the University of Chicago (MA '78), then attended medical school at Case Western Reserve University (MD '82). He trained at Harvard in Neurology and Psychiatry and is board certified in both. He completed his fellowship in Neurobehavior at UCLA. He began his academic career at the University of Southern California studying behavioral complications of neurological conditions, with a focus on aggression. Following 9/11, he made a decision to combine his background in social science and neurobehavior to investigate the biopsychosocial bases of human conflict, violence, oppression and terrorism. His current research includes review of the empirically based understanding of motivations for substate terrorism, studies of social and neurological factors in violent and terrorist behavior, piloting the first self-rated questionnaire for perceived oppression, and collaborations with the Gaza Community Mental Health Programme to investigate social, psychological, and neuroendocrine factors in children living through the Intifada. He is also developing a prospective research project to determine how interventions to improve tolerance and reduce prejudice might influence sympathy for terrorism among young people living in oppression. He is a member of the UN Roster of Terrorism Experts, a member of the Organizing Committee for the Madrid Summit on Terrorism, and the Director of the NATO Advanced Research Workshop on Social and Psychological Factors in the Genesis of Terrorism. He serves as Associate Professor of Clinical Neurology and Psychiatry at the USC Keck School of Medicine and Director of the Neuropsychiatry Clinic. His most recent pertinent publications is: "The Mind of the Terrorist: A Review and Critique of Psychological Approaches" (Journal of Conflict Resolution, 2005). Please see here Introduction to the Oppression Questionnaire (OQ) by Jeff Victoroff, 2005. This is an unpublished manuscript, please do not disseminate, use, or quote without permission. The Arabic version of the OQ has now been piloted in Gaza and Lebanon. Your feedback is welcome! Charles Villa-Vicencio is a leading global authority in matters related to transitional justice and reconciliation. A distinguished theologian, he has published numerous works in various scholarly forums. His contributions extend beyond academics: from 1996-1998, he played a central role in South Africa's Truth and Reconciliation Commission, where he acted as national research director. Villa-Vicencio has used his insight and expertise to advise numerous countries dealing with the challenges of rebuilding their societies after periods of internal strife, including Peru and various African nations. In 2000, he established the Institute for Justice and Reconciliation. Dedicated to encouraging peaceful transitions within a democratic context, the institute facilitates dialogue both within South Africa and abroad, encouraging cooperation between groups that have been divided by social conflicts. In 2008, the Institute was awarded UNESCO's Prize for Peace Education, "for its outstanding efforts in building sustainable reconciliation through education and in addressing systematic injustice in Africa." Villa-Vicencio is the author of several books, including A Theology of Reconstruction: Nation-Building and Human Rights (Cambridge,1992) and Civil disobedience and beyond: law, resistance, and religion in South Africa (Cape Town 1990). In addition, he has edited or co-edited various volumes, such as Looking Back, Reaching Forward: Reflections on the Truth and Reconciliation Commission of South Africa, co-edited with Wilhelm Verwoerd (University of Cape Town Press 2000), and The Provocations of Amnesty: Memory, Justice, and Impunity co-edited with Erik Doxtader (Africa World Press, 2003). Villa-Vicencio first came to Georgetown in 1988, as a distinguished lecturer on South Africa. In 1990, he was a visiting fellow at the Woodstock Theological Center. He has also held academic appointments as Professor of religion and society at the University of Cape Town and been head of the Department of Religious Studies at the University of South Africa. Stein Villumstad officially retired in March 2018 and is based in Oslo, after having spent three years as Country Director for Norwegian Church Aid in Malawi. Prior to this he served for four years as the General Secretary of the European Council of Religious Leaders – a regional body of Religions for Peace (previously World Conference of Religions for Peace). He served as the Deputy Secretary General of World Conference of Religions for Peace from January 2006 - December 2010, based right across from the UN in New York. Religions for Peace, a global network of inter-religious councils and affiliated groups, harnesses the power of cooperation among the world's religious communities to transform conflict, build peace, and advance sustainable development. Founded in 1970 as an international, non-sectarian organization, Religions for Peace is now the largest coalition of the world's religious communities. Stein had a twenty year career with Norwegian Church Aid, including representing the organization in East Africa /Horn of Africa for almost ten years. He further held the positions of Director of Emergency Relief and Humanitarian Assistance, and Assistant General Secretary managing the Department for Policy and Human Rights. Stein has a history of working with religious communities in conflict and post-conflict situations. His interest in human dignity and humiliation grew out of his experience within humanitarian and conflict transformation work, not least including religious actors and assets. Stein has contributed a number of articles related to his fields of engagement and he published Social Reconstruction in Africa: Perspectives from Within and Without (Acton Publishers, Nairobi , 2005). I addition to his Bachelors of Education, Mr. Villumstad holds a Masters of International Administration and Intercultural Management. Maria R. Volpe, Ph.D., is Professor of Sociology, Director of the Dispute Resolution Program at John Jay College of Criminal Justice - City University of New York, and serves as Convener of the CUNY Dispute Resolution Consortium, a university-wide center focusing on research and innovative program development. An internationally known scholar, Dr. Volpe has lectured and written exten­sively about dispute resolution processes, particularly media­tion, and has been widely recognized for her distinguished career in the field of dispute resolution. She teaches dispute resolution courses at the undergraduate and graduate levels; conducts research on dispute resolution processes, mediates conflicts in educational settings; conducts dispute resolution skills training; facilitates for a wide range of groups; and administers grant funded projects. She is an Editorial Board Member of Conflict Resolution Quarterly, Negotiation Journal, and Practical Dispute Resolution; Past-President of the Society of Professionals in Dispute Resolution [SPIDR]; Ex-President of the New York City Chapter of SPIDR; Member of Dispute Resolution Advisory Committee of the NYS Unified Court System; Former Board Member of the National Conference on Peacemaking and Conflict Resolution [NCPCR]; Ex-Board Member of the Association for Conflict Resolution of Greater New York; Advisory Panel of NYS Dispute Resolution Public Awareness Action Committee; Member of Association for Conflict Resolution Diversity and Equity Point Person Network, American Bar Association Dispute Resolution Section Diversity Committee, among others. 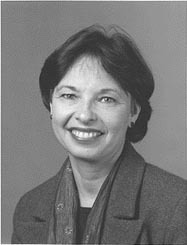 Her current research focuses on police use of mediation, dispute resolution in educational settings, ADR responses to 9/11, and barriers to minority participation in dispute resolution. Dr. Volpe received her Ph.D. from New York University where she was an NIMH Fellow. Please see here Conflict and Humiliation: The Simplicities of Reversing Destructive Conflict, presentation given at the Public Event of the 2005 Workshop on Humiliation and Violent Conflict, Columbia University, New York City, December 15-16, 2005; the Association for Conflict Resolution Crisis Intervention online newsletter featured this presentation in its 2006 February issue. Susan Waltz is a Professor of International Relations and Public Policy at the University of Michigan in Ann Arbor. She is a specialist in human rights and international affairs. She is author of Human Rights and Reform: Changing the Face of North African Politics (1995), and she has recently published a series of articles on the historical origins of international human rights instruments and the political processes that produced them. This work calls attention to the contribution of small states to the development of human rights law. Alongside academic work, Professor Waltz has been active in human rights advocacy and non-profit governance. From 1993-1999 she served on Amnesty International's International Executive Committee and since 2000 has served on the national board of the American Friends Service Committee. She convenes a working group on military transfers for Amnesty International-USA and she has been involved with international efforts to promote an Arms Trade Treaty regulating the small arms trade. Professor Waltz received her PhD in International Studies from the University of Denver. Jacqueline Howell Wasilewski, Ph.D., is a Professor of Intercultural Communication at the Division of International Studies at the International Christian University (ICU) in Tokyo, Japan, and a specialist in the dynamics of multiculturation and in the use of structured dialogue processes in the management of complex issues. Please see her book, together with H. Ned Seelye, Between Cultures: Developing Self-Identity in a World of Diversity (McGraw-Hill, 1996). Please see her paper on Interculturalists as Dragon-Riders in the Journal of Intercultural Communication, SIETAR Japan, No 4, pp. 75-89, 2001. Please see furthermore her thoughts on Consensus-Based Decision-Making in a Global Society, adapted from The Asiatic Society of Japan Bulletin No. 1, January 2002, compiled by Prof. Hugh E. Wilkinson and Mrs. Doreen Simmons.  Structured Dialogue Processes, Tokyo: International Christian University, Division of International Studies & the Graduate School of Public Administration, 2005.  Please see also The 2006 ICU-COE Northeast Asian Dialogue "Sharing Narratives, Weaving/Mapping History," February 3-5, 2006, convened by Jacqueline Wasilewski at the International Christian University (ICU), Tokyo, Japan. Please see here Jackie's invitation, and the pictures.  The ICU-COE North East Asian Dialogue (NEAD) Project, 2005 & 2006, abstract presented at the Second International Conference on Multicultural Discourses, 13-15th April 2007, Institute of Discourse and Cultural Studies, & Department of Applied Psychology, Zhejiang University, Hangzhou, China.  The Role of Dignity and Humiliation in Indigenous Cultures and Its Usefulness for Global Dialogue, abstract presented at the 2009 Workshop on Humiliation and Violent Conflict, Columbia University, New York City, December 10-11, 2009.  Transforming Humiliation: Spiritual and Dialogic Aspects, abstract presented at the 2011 Workshop on Humiliation and Violent Conflict, Columbia University, New York City, December 8-9, 2011. Dr. Kaethe Weingarten is a clinical psychologist, peace psychologist and family therapist who is an Associate Clinical Professor of Psychology in the Department of Psychiatry at Harvard Medical School, where she has had an appointment since 1981. She is the founder and director of the Witnessing Project, which helps individuals, families and communities turn the passive witnessing of violence into effective compassionate action. She currently directs the Program in Families, Trauma and Resilience at the Family Institute of Cambridge. She lectures widely nationally and internationally. In 2002 she was given the award for Distinguished Contribution to Family Theory and Practice by the American Family Therapy Academy (AFTA). She is the chair of AFTA's Human Rights Committee and serves on the editorial boards of five journals. Her sixth book, Common Shock - Witnessing Violence Every day: How We Are Harmed, How We Can Heal, won the 2004 Nautilus award for social change. She has had breast cancer three times. During the last round of treatment in 2003 she developed the Treatment Dedication Program, which can be found on her web site. Please see her article Witnessing, Wonder, and Hope, in Family Process, 39 Winter (4), pp. 389-402, 2000. See furthermore Compassionate Witnessing and the Transformation of Societal Violence: How Individuals Can Make a Difference (adapted from Common Shock: Witnessing Violence Every Day - How We Are Harmed, How We Can Heal. New York, NY: Dutton, 2003). Dr. Heidetraut von Weltzien Høivik, professor of business ethics and leadership, was until August 1993 elected Executive Vice-President and Dean of Faculty (Prorektor) of the Norwegian School of Management (BI). She is a Fellow of the Harvard Executive Program of the Institute of Education Management, and a Fellow of the Harvard Program on International Negotiations. From 1995 to 1997 she was Visiting Professor at Tel Aviv International School of Management, Israel. In 1994/5 she launched the Center for Ethics and Leadership at the Norwegian School of Management and developed the curriculum in Business Ethics, mainly for the graduate school and executive management programs. Her current research interests are: Managing values in organizations, strategy and business ethics, integrating ethics into organizational processes, and the development of ethical competency. In 2002 she published her second book: Moral Leadership in Action, Building and Sustaining Moral Competence in European Organizations, E. Elgar. From 1999 until October 2005 she was president of the European Business Ethics Network (EBEN), an international organization she has been actively involved in since 1989. In 1994 she organized the EBEN Annual Conference in Oslo and in 1999 and in 2003 she hosted the EBEN Research Conferences at her institution. She has also been an executive member of the Caux Round Table, of Transparency International Norway, and of the International Society for Business, Ethics and Economics (ISBEE) for several years. She is on the editorial board of the Journal of Business Ethics and Business Ethics European Review, the Journal for Business Ethics Education and serves as a reviewer for Journal of Business Ethics. Besides doing research she is a sought after consultant for companies both in Norway and abroad. In 2000 she was asked to teach at the Fudan School of Management, Shanghai, China in their joint MBA program with the Norwegian School of Management. This has led to teaching assignments twice each year until 2006. In December 2003 she was awarded an Honorary Doctor Degree by the Estonian Business School for her outstanding work in promoting the field of business ethics teaching and research in Europe. In January 2004 she was informed that she had won the first prize in the case writing competition in the category of Corporate Social Responsibility, organized by the European Foundation of Management Development (efmd) in Brussels. The award ceremony took place in Madrid in June 2004. In the fall of 2005 and parts of 2006 she spent time in China as visiting professor at the Shanghai Academy of Social Sciences. In September 2006 she received the Best MBA Faculty Award at the Norwegian School of Management. From 2009 to 2012 she is a Visiting Professor at the Academy of Social Sciences in Shanghai. Renate Wilke-Launer is a free lance journalist. After getting her degree (social sciences) from the University of Göttingen she worked for many years as a freelancer in adult education, especially with working class people. After moving to Hamburg in 1979 she went to work for a small “alternative” bimonthly magazine on development issues and contributed to other journals as well, mainly related to the liberation struggle in Southern Africa and the UN’s World Conferences on Women in Copenhagen and Nairobi. She joined the Association of Protestant Churches and Missions in Germany in 1986 and edited their journal (now under the title “Eine Welt”). She moved on to edit “der überblick” in 1988, a renowned quarterly for ecumenical encounter and international cooperation and acted as its editor-in-chief until it was closed down at the end of 2007. With its background in the Protestant Churches “der überblick” focused on the world’s religions in quite a few issues (e.g. the fundamentalisms in all major religions, the growth of pentencostalism). Contributions came from all corners of the world and people from all walks of life, be it professors or practitioners, theologians and lay persons, church leaders and their critics, journalists and activists. The thematic issues allowed for articles from various angles and often challenged the conventional wisdom of the development community. After leaving the (protestant) Churches Development services Renate Wilke-Launer is a free lancer again. She serves on various committees, e.g. the North German Foundation for the Environment and Development and the Berlin Institute for Population and Development and works with various organisations, such as the Heinrich-Böll- Stiftung. George W. Wolfe is currently Coordinator of Outreach Programs for the Center for Peace and Conflict Studies at Ball State University, Indiana, USA, where he served as Director of Peace Studies from 2002 to 2006. He is the author of several publications, including his recent book The Spiritual Power of Nonviolence: Interfaith Understanding for a Future Without War, which has been endorsed by Arun Gandhi, Bishop William E. Swing, and peace educator Michael N. Nagler. He is also a trained mediator and is a member of the advisory board of the Toda Institute for Peace, Policy and Global Research. In 1991 he was awarded an Open Fellowship from the Eli Lilly Endowment which made possible his first trip to India where he was introduced to the nonviolent philosophy of Mahatma Gandhi. George Wolfe is also an accomplished classical saxophonist who has performed extensively throughout the United States and has concertized in Europe, Cyprus, Costa Rica, Canada, India, Korea, and Japan. He has appeared as a soloist with such ensembles as the United States Navy Band, the Navy Brass Quintet, the Saskatoon Symphony, the World Band at Disney World, the Indianapolis Children’s Choir, and has been featured on a compact disk with the Royal Band of the Belgian Air Force. Wolfe’s recordings have won praise from Steven Ellis of Fanfare Magazine and jazz great David Baker. Critic John Lambert writing in the Winston Salem Spectator, described Wolfe’s performance as “a deeply satisfying and moving artistic experience.” He has also been interviewed on radio stations across the US, from Florida to New York to California. Dr. Wolfe was awarded a Performance Certificate from Indiana University. He has presented master classes at the Paris Conservatory, Indiana University, and the Interlochen Center for the Arts, and he has taught as an artist-in-residence at Arizona State University, Klagenfurt Conservatory (Austria), the University of Saskatchewan (Canada), and at the University of San Jose in Costa Rica. In 1997, Ball State University awarded Dr. Wolfe its Outstanding Creative Endeavor award for his CD on music and cosmology entitled Lifting the Veil.  The Spiritual Power of Nonviolence: Interfaith Understanding for a Future without War. Austin: Jomar Press, 2011.  "Acquiring Administrative Support for Academic Freedom." Journal of Religion, Conflict and Peace. Vol. 4, Issue 1, fall 2010.  "In the Middle East, Justice Served Is Not Always Justice Done." The Olive Branch. Muncie, Indiana: Ball State University Center for Peace and Conflict Studies Newsletter, Sept. 7-14, 2011.  "Some Ground Rules for Public Discourse." The Olive Branch. Muncie, Indiana: Ball State University Center for Peace and Conflict Studies Newsletter, Sept. 14-21, 2011.  "Wall Street Beware! : Movements Have Succeeded in the Past." The Olive Branch. Muncie, Indiana: Ball State University Center for Peace and Conflict Studies Newsletter, Oct.. 19-26, 2011.  "Iran, North Korea, and Unintended Consequences." The Olive Branch. Muncie, Indiana: Ball State University Center for Peace and Conflict Studies Newsletter, Nov. 16-23, 2011. Track 5: Towards a Positive Peace, part 3 - Carrie Hessler-Radelet, Deputy Director, The Peace Corps.  Lecture on Positive Peace to Students in Gaza, see the video, and the text.  Peace is a Verb as Well as a Noun, the Path as Well as the Goal, presentation given at the 2013 Workshop on Transforming Humiliation and Violent Conflict, Columbia University, New York City, December 5-6, 2013. George Woods, M.D., is also a Member of the HumanDHS Research Team. He is Board Certified by the American Board of Psychiatry and Neurology. He is also a Fellow of the American Psychiatric Association. Dr. Woods has been recognized nationally for his clinical work in chemical dependency, consultation-liaison (study of the relationship between physical disorders and mental disorders), and sleep disorders. In 1992, he was named Clinical Director of the Year for National Medical Enterprise's chemical dependency and rehabilitation divisions. The International Academy of Law and Mental Health elected Dr. Woods to its International Board of Directors in 2003, and he was elevated to Secretary General of the International Academy of Law and Mental Health in 2009. The Health Law Institute of Depaul University College of Law elected Dr. Woods to its Health Law Institute's Advisory Board in 2004. 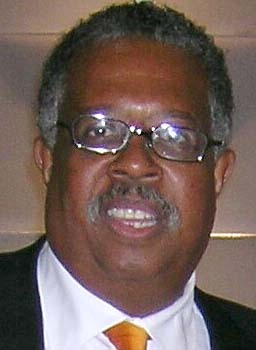 Dr. Woods was appointed to the Advisory Board of the California Center for African Peace and Conflict Resolution in 2007. He is a certified mediator. Dr. Woods has consulted with the Kenyan and Tanzanian medical organizations after the Kenyan/Tanzanian Embassy bombings in 1998, helping each country respond to the bombings and create mental health delivery systems. Dr. Woods is licensed in Zanzibar, East Africa as well as in California. He has also consulted with Department of Psychiatry, Makerere University, Kampala, Uganda, in the development of humanitarian forensic psychiatric services. Dr. Woods is currently an Affiliate Professor in the Department of Psychiatry, Morehouse School of Medicine, Atlanta, Georgia. He was also an Adjunct Faculty member in the Department of Educational Leadership and Public Policy, California State University, Sacramento, California. Dr. Woods is a faculty member of the National Institute for Trial Advocacy based at Notre Dame University. He was an Adjunct Professor at the University of California at Davis School of Medicine, Department of Psychiatry, in the Forensic Psychiatry Postgraduate Fellowship from 1995 to 2000. Dr. Woods is a frequent lecturer for many continuing legal education programs and training seminars, including the Matthew Bender Legal Publishing Company Lecture Series. Dr. Woods lectures and teaches for corporations, law firms, and academic institutions, nationally and internationally, on methods of developing educational and organizational learning strategies, executive coaching, understanding trends in cognitive development, and organizational effectiveness. He has worked with authors and actors in character development. Dr. Woods has also consulted on high profile cases nationally and internationally.  From the Plantations/Asylums to the Prisons: The Relationship between Humiliation, Stigma, Economics and Correctional Care for the Mentally Ill, abstract presented at the 2010 Workshop on Transforming Humiliation and Violent Conflict, Columbia University, New York City, December 9-10, 2010.  A Woman in Berlin: The Complexity of Humiliation at the End of World War II, abstract of a paper presented at Round Table 2 of the 2005 Workshop on Humiliation and Violent Conflict, Columbia University, New York City, December 15-16, 2005.  "A Woman in Berlin: An Endless Cycle of Female Humiliation, Berlin 1945," in Social Alternatives (Special Issue "Humiliation and History in Global Perspectives"), Vol. 25, No. 1, First Quarter, pp. 12-16, 2006.  Humiliation In My Brother’s Image, abstract presented at the 2006 Workshop on Humiliation and Violent Conflict, Columbia University, New York City, December 14-15, 2006.  A Challenge to Medical Hierarchies, abstract presented at the 2007 Workshop on Humiliation and Violent Conflict, Columbia University, New York City, December 13-14, 2007.  A Holocaust Narrative of Humiliation and Resilience, abstract presented at the 2008 Workshop on Humiliation and Violent Conflict, Columbia University, New York City, December 11-12, 2008.  The Burden of Palestinian Education: Undoing Humiliation, paper presented at the 2009 Workshop on Humiliation and Violent Conflict, Columbia University, New York City, December 10-11, 2009.  From Auschwitz to the International Court of Justice in the Hague, abstract presented at the 2010 Workshop on Transforming Humiliation and Violent Conflict, Columbia University, New York City, December 9-10, 2010.  Humiliation and Resilience in Higher Education, paper shared at the 2015 Workshop on Transforming Humiliation and Violent Conflict, Columbia University, New York City, December 3-4, 2015.  Anne Wyatt-Brown in Honor of Linda Hartling, 2016. March 19, 1932 - November 5, 2012, but always with us in our hearts! Bertram Wyatt-Brown is also a Member of the HumanDHS Board of Directors, and the Guest Editor of "Humiliation and History in Global Perspectives," a Special Issue of Social Alternatives (Vol. 25, No. 1, First Quarter, 2006), edited by Ralph Summy. Richard J. Milbauer Emeritus Professor of History, University of Florida, and Visiting Scholar, Johns Hopkins University, he has published the following works in history: Lewis Tappan and the War against Slavery (1969, 1996); Southern Honor: Ethics and Behavior in the Old South (1982); The House of Percy: Honor, Melancholy, and Imagination in a Southern Family (1994); The Literary Percys (1994); The Shaping of Southern Culture: Honor, Grace, and War (2001); Hearts of Darkness: Wellsprings of a Southern Literary Tradition (2003); and (co-editor), Virginia's Civil War (2004). Bertram Wyatt-Brown earned the B.A. degree at the University of the South (1953), a B.A. (Honours) and M.A. at King's College, Cambridge University (1957, 1961), and his doctoral degree at the Johns Hopkins University (1963) under the late C. Vann Woodward. Professor Wyatt-Brown has taught at Colorado State University, the University of Colorado, University of Wisconsin, Case Western Reserve University, University of Florida, and the University of Richmond (the Douglas Southall Freeman chair, 2002-03). He served as President of the St. George Tucker Society, the Society for Historians of the Early Republic, and the Southern Historical Association. His awards include: Finalist, Pulitzer Prize and American Book Award (1983); the ABC/Clio Historical Essay Prize (1990); the Henry Luce Foundation Fellowship and NEH Fellowship at the National Humanities Center (1989-90 and 1998-99), the Guggenheim Fellowship (1974-75), and several teaching and graduate student mentoring awards. Wyatt-Brown is currently preparing books entitled Who Owns the Dead? The Perils of Literary Biography and Honor and America's War, from the Revolution to Iraq. Please see also Professor Wyatt-Brown as "History Doyen" at the History News Network of George Mason University.  Honor and America’s Wars: From the Revolution to Mexican Conquest.  Honor, Shame, and Iraq in American Foreign Policy, note presented at the 2004 Workshop on Humiliation and Violent Conflict, Columbia University, New York City, November 18-19, 2004.  The Changing Faces of Honor in National Crises: Civil War, Vietnam, Iraq, and the Southern Factor, lecture for the Johns Hopkins History Seminar, Fall 2005.  co-authored with Victoria C. Fontan (2005), "The Honor Factor", Op Ed in The Baltimore Sun, January 23, 2005, p. 5F. Please see here the oringal long version.  Bert has kindly accepted the task of being a Guest Editor of "Humiliation and History in Global Perspectives," a Special Issue of Social Alternatives (Vol. 25, No. 1, First Quarter, 2006), edited by Ralph Summy. Please see the Guest Editor's Introduction to the Special Issue, written by Bertram Wyatt-Brown, and Honor, Irony, and Humiliation in the Era of American Civil War.  The Psychology of Humiliation: Mann’s “Mario and the Magician” and Hawthorne’s “Major Molineux, My Kinsman” (2006), abstract presented at the 23rd International Literature and Psychology Conference 2006, by the Institute for Psychological Study of the Arts (IPSA), University of Florida and the Department of Education, University of Helsinki, and the 2006 Workshop on Humiliation and Violent Conflict, Columbia University, New York City, December 14-15, 2006.  T. E. Lawrence, Honor and Humiliation in the Middle East, abstract presented at the 2007 Workshop on Humiliation and Violent Conflict, Columbia University, New York City, December 13-14, 2007.  Trials of Humiliation and Depression in George Orwell's Life and Novel 1984, abstract presented at the 2008 Workshop on Humiliation and Violent Conflict, Columbia University, New York City, December 11-12, 2008.  George Orwell, 1984, Humiliation in Life and Fiction, abstract presented at the 2009 Workshop on Humiliation and Violent Conflict, Columbia University, New York City, December 10-11, 2009.  American Death Row Inmates: A Study of Imposed Humiliation and Deprivation, paper presented at the 2010 Workshop on Transforming Humiliation and Violent Conflict, Columbia University, New York City, December 9-10, 2010. Egil Anders Wyller was born in 1925 in Stavanger, Norway. He is Professor Emeritus in The Spiritual History of Antiquity at the University of Oslo. He has devoted his intellectual life to Platonic studies as a) presentations and interpetations of the Dialogues, b) studies upon the history of Platonism, secular and Christian, combined with text–editions (in Norwegian, German and Russian), c) a book-series in Norwegian in 20 volumes called Henologisk Skriftserie (”Henology” means a Philosophy of Unity (hen) and Otherness), d) a systematic philosophic Work Enhet og annethet (Unity and Otherness) Oslo 1981, edited in German as Einheit und Andersheit, Königshausen & Neumann, Würzburg, 2003. For the time being, he is absorbed by the global vision of George Frideric Handel. David C. Yamada is also a Member of the the HumanDHS Board of Directors. He is a professor of law and director of the New Workplace Institute at Suffolk University Law School in Boston. David is a globally recognized scholar and authority on workplace bullying and worker dignity. In addition to authoring leading law review articles on workplace bullying, he is the drafter of the Healthy Workplace Bill, model anti-bullying legislation that is serving as a template for law reform efforts. His most recent major publication is Maureen Duffy & David C. Yamada, eds., Workplace Bullying and Mobbing in the United States (Santa Barbara, CA: Praeger/ABC-CLIO, 2018). David is also the founding board chairperson of the International Society for Therapeutic Jurisprudence, a learned, non-profit organization dedicated to advancing psychological healthy outcomes in legal proceedings and transactions. His blog, Minding the Workplace, is a popular source of commentary on work, workers, and workplaces, and may be accessed here. Many of David’s scholarly articles can be accessed without charge from his Social Science Research Network page.  Imagining the Good Workplace: It Starts With Individual Dignity, in New Workplace Forum Series, April 24, 2007.  Human Dignity and American Employment Law, in University of Richmond Law Review, 43, 2009, also Suffolk University Law School Research Paper No. 08-36, ssrn.com/abstract=1299176.  The Dignifying Effects of Workplace Bullying Legislation, abstract presented at the 2009 Workshop on Humiliation and Violent Conflict, Columbia University, New York City, December 10-11, 2009.  Intellectual Activism: Using Blogs and Social Media to Advance a Human Dignity Agenda, abstract presented at the 2011 Workshop on Transforming Humiliation and Violent Conflict, Columbia University, New York City, December 8-9, 2011.  David Yamada in his blog (December 14, 2011): Does your organization nurture growth-fostering relationships?  American Elders: Human Dignity and the Aging Population, abstract presented at the 2012 Workshop on Transforming Humiliation and Violent Conflict, Columbia University, New York City, December 6-7, 2012.  Can a Narcissist Feel Your Pain? (Maybe Yes, Study Suggests), by David Yamada, Minding the Workplace The New Workplace Institute Blog, May 31, 2014. Contribution shared at the 2017 Workshop on Transforming Humiliation and Violent Conflict, Columbia University, New York City, December 7 -8, 2017.  Dignity Work. What Does It Mean? How Might We Define It? What If We Made the Nurturing of Dignity Our Primary Purpose as Human Beings? What Kind of World Would We See?, Minding the Workplace The New Workplace Institute Blog, November 11, 2018. Contribution shared at the 2018 Workshop on Transforming Humiliation and Violent Conflict, Columbia University, New York City, December 6 -7, 2018. Kazuyo Yamane is a Japanese peace educator and researcher, who graduated from the University of Bradford (Ph.D. in Peace Studies), and is a lecturer at Kochi University. Kazuyo Yamane is a member of the Advisory Committee of the International Network of Museums for Peace, the editor of Muse: Newsletter of Japanese Citizens’ Network of Museums for Peace, and a member of Editorial Board of the Journal of Peace Education (England), and the Journal of Peace & Conflict Review published by the UN mandated University for Peace. In 2018, the International Network of Museums for Peace (INMP) office was moved from The Hague to Kyoto.  “Japanese Peace Museums” in The Oxford International Encyclopedia of Peace, Volume 2, edited by Nigel Young, Oxford University Press, Oxford. A lawyer and political scientist Mitja Žagar (1961) received his Ph.D. in law from Faculty of Law, University of Ljubljana (Modern Federalism and Asymmetrical Federation, 1990). Since 1990 he is employed at the Institute for Ethnic Studies (IES), Ljubljana, Slovenia, where he studies ethnicity, ethnic relations and conflicts – focusing on (constitutional an legal) regulation and management of ethnic relations, diversity management and prevention, management and resolution of crises and conflicts. At the IES he heads the research unit, since 1999 the research program (Ethnic and minority studies and Slovene studies – Slovene national question) and since 2001 the International Center for Interethnic Relations and Minorities, while he has also lead or coordinated several national, European and international research projects. 1998–2007 he was the director of the IES. He is a Full Professor at the University of Ljubljana (Faculty of Social Sciences – FSS and Faculty of Law) and at the University of Primorska/Littoral (Faculty of Humanities, Koper – FH), lectures regularly at diverse universities in Bosnia-Herzegovina, Italy and Hungary, while he also taught at universities in Australia, Canada and USA. At the FSS he coordinates the masters’ program Political science – Ethnic studies: Regulation and management of ethnic relations and conflicts), while at the FH he is coordinating the Joint European Ph.D. Program on Diversity Management and Governance (in cooperation with the universities of Bologna and Graz and New Bulgarian University) that is planned to start in the fall of 2009. He teaches also in several international (post)graduate programs, among them also the Joint European Erasmus Mundus MA Program on local development (CoDe) of the Universities of Trento (coordinator institution), Budapest, Ljubljana and Regensburg. Dr. Žagar cooperates with a number of state institutions and bodies (e.g. Ministry of Culture, Ministry of Foreign Relations, etc., nongovernmental organizations and international organizations (e.g., UN, Council of Europe, OSCE, OSCE High Commissioner for National Minorities, etc.). 2001–2003 he was the coordinator of the Task Force on Human Rights and Minorities of the Stability Pact for SE Europe.  Reconciliation and its Impacts on Peace in the Balkans: Success or Failure?, outline for a presentation for the conference "Reconciliation and Human Security in the Balkans" of the European Center for Peace and Development (ECPD) and the UN Peace University in Milocer, Montenegro, 30-31st October 2008. November 23, 1923 – December 3, 2008, but always with us in our hearts! Robert B. Zajonc received his Ph.D. degree from the University of Michigan in 1955. He remained there until his retirement in 1994. During his tenure at the University of Michigan, he served as the Director of the Research Center for Group Dynamics and of the Institute for Social Research. Professor Zajonc’s research spans a number of theoretical problems, such as the nature of the relationship between cognition and communication, emotional influences, including unconscious effects, the emergence of preferences, the aggregate pattern of intellectual performance scores as they are influenced by changing family dynamics, and some others. Professor Zajonc is the recipient of the APA Distinguished Scientific Contribution Award, the Society for Experimental Social Psychology Distinguished Scientist Award, Doctorates Honoris Causa from the University of Louvain and from University of Warsaw. He is currently Professor of Psychology at Stanford University. Howard Zehr is Professor of Sociology and Restorative Justice and an internationally-known practitioner, writer, lecturer and teacher in the field of criminal justice. He is considered one of the founders of the contemporary restorative justice movement and his ground-breaking book, Changing Lenses: A New Focus for Crime and Justice, is widely regarded as a standard in the field. The author was one of the early pioneers in victim-offender mediation and continues to be involved in this and related work. One of his primary areas of concern is the role of victims in justice and especially in restorative justice programs. He and a colleague were appointed by the federal court in the Timothy McVeigh Oklahoma City bombing trial to assist attorneys in working with victims. Out of this developed a program of exchange visits of survivors from the U.S. embassy bombing in Nairobi, Kenya and the bombing of the federal building in Oklahoma City. Another outcome is an ongoing initiative to sensitize defense attorneys to victims' perspectives and to incorporate survivors' voices in death penalty cases. Professor Zehr has lectured, consulted and trained in several dozen countries throughout the world. He has worked with community groups, police and correctional agencies in countries such as Northern Ireland, England, Russia, Jamaica, Bosnia, New Zealand and South Africa. He is also an accomplished documentary and journalistic photographer. He has worked professionally as a photojournalist, photographing in some 20 countries, and has conducted numerous photo-interview projects. After serving 19 years as director of the national criminal justice office of Mennonite Central Committee, an international humanitarian organization, in 1996, Howard Zehr joined the faculty of EMU's Conflict Transformation Program. Apart from Changing Lenses, Professor Zehr has published widely, see, for example, Doing Life: Reflections of Men and Women Serving Life Sentences (Good Books, 1998); Transcending: Reflections of Crime Victims - Portraits and Interviews (Good Books, 2001); and The Little Book of Restorative Justice (Good Books, 2002). Please see here Humiliation, Crime and Justice, note presented at Round Table 3 of the 2005 Workshop on Humiliation and Violent Conflict, Columbia University, New York City, December 15-16, 2005.